Did you know that the fabric on which we sleep plays a very important role in the quality of our rest? Synthetic sheets and other poor-quality fabrics will make your resta and sleep unpleasant, and won’t allow you to recharge your batteries they way you need. Linen fabric is always in direct contact with the body. For this reason, it must not only be pleasant to the touch but also breathable. When we sleep, the sheets and mattress both absorb our sweat, and breathable fabrics help limit the body’s temperature from rising, ensuring an ideal microclimate. Cotton is a natural material and its best varieties are free from harmful substances. Durable, soft and cheap, cotton’s quality depends primarily on the species and the method used to process it after harvest. Percale, a soft and lightweight cotton, is great in the summer because of its ability to stay fresh and is also a good choice during the winter, because of its ability to keep the bed warm. 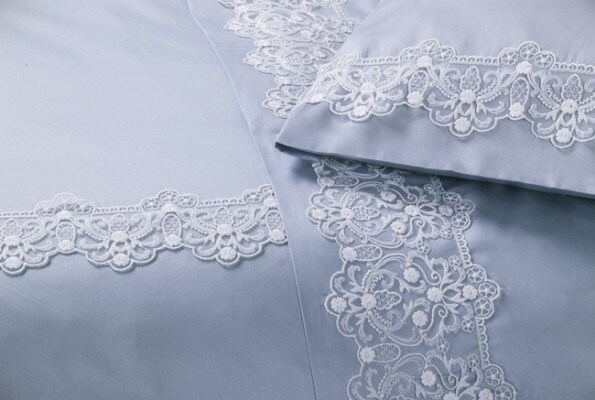 Percale has a fine and compact texture, making it a highly valuable and refined fabric. Just as natural but more expensive, silk sheets give an unmistakable sensation of pleasure. For those that are allergic to such things as dust mites, Magniflex offers a number of hypoallergenic fabrics, which can even be washed at 95°C, preventing the proliferation of mites. Known since the dawn of humanity, this fabric is anti-allergic, antistatic and hygroscopic. Flax is a strong fabric, but it is also soft and pleasant to the touch. It contributes to sweat evaporation, which helps keep the bed and pillows fresh. Flax is particularly suitable for the treatment of allergies and can be washed many times without breaking down, in fact, flax becomes more and more soft as it is washed. Just remember, don’t wash flax at excessively high temperatures. Flannel bed sheets offer a warm and pleasant sensation, making this fabric especially suitable for people who endure cold temperatures. Flannel is a fabric that can be made from the special processing of both wool and cotton. Combining quality and beauty is now possible, thanks to the new Home Textile collection, Made in Magniflex!